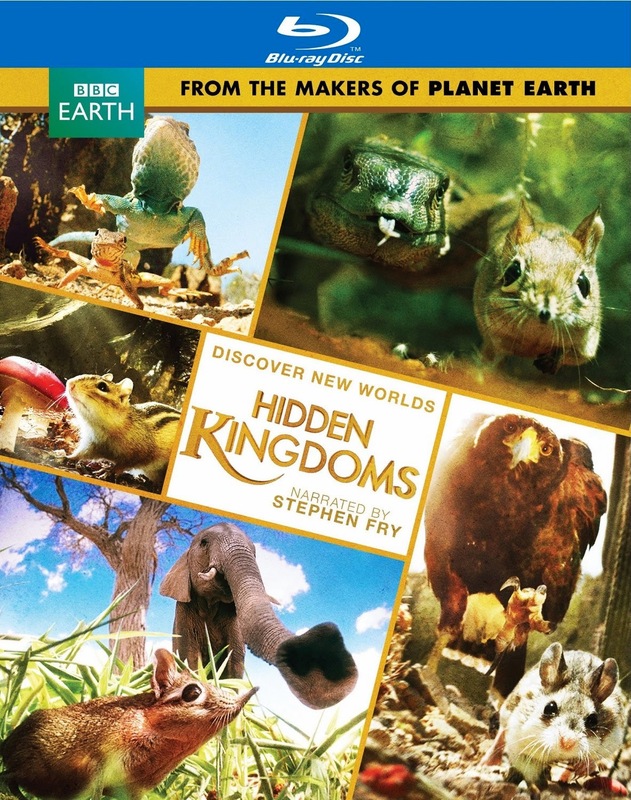 Each of the three episodes of “Hidden Kingdoms” takes a look at a few specific small creatures, utilizing a series of clever camera tricks to give the illusion of being that size. There were sets built to force perspective, small lenses utilized, and even the use of green screen in order to show the massive size of the larger creatures nearby. Some of the use of green screen reads as false, and the illusions never manage to match the impressiveness of a simple slow-motion shot, but the good far outweighs the negative in this inventive new nature show. The biggest criticism I could give the series would be the brief collection of episodes. There are three hour-long explorations into the world of these smaller creatures, each focusing on a few different animals depending on environment. Episode one looks at the various desert creatures, include a speedy rodent and a strong beetle. The second episode delves into the forest with a look at the busy lives of nut-gathering chipmunks and the dangerous journey of a tree-dwelling fruit-eater. The final episode takes the unconventional look at small creatures living unexpected lives in cities, including both a species of monkeys in Brazil and another fierce beetle in Japan. Each episode is narrated by Stephen Fry, and the Blu-ray release of this visually stunning series comes with a handful of extras looking at the effort needed to bring all of these elements together. There is an introduction by executive producer Michael Gunton, as well as featurettes about the visual style of the show and the score. Also included are an extended sequence and a storyboard for the beetle segment.